FREAK NASTY available for Corporate Events, clubs, fundraisers and parties. FREAK NASTY A PRODUCER/ARTIST FROM NEW ORLEANS WHO STARTED "HARD HOOD RECORDS. 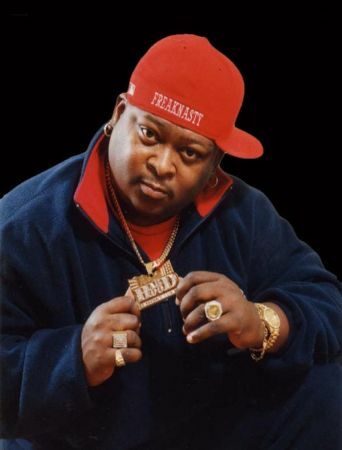 "BLEW UP THE HIP HOP SCENE WITH "DA' DIP" IN THE 90'S HE HAS SOLD OVER 5 MILLION UNITS IN HIS CAREER AND WAS NOMINATED IN THE 90'S FOR MTV'S BEST DANCE VIDEO, "DA' DIP". FREAK NASTY HAS WON NUMEROUS AWARDS FOR HIS ROLE IN THE MUSIC BUSINESS. HE IS SHY BUT CAN GET THE JOB DONE, IF YOU HAVE HAD THE PRIVILEGDE IN SEEING FREAK NASTY PERFORM LIVE THEN YOU HAD A TREAT, BECAUSE WHEN HE PERFORMS IN A CLUB IT'S NOTHIN' BUT A SPRING BREAK PARTY... NO MATTER THE TIME OF THE YEAR! IF YOU HAVEN'T SEEN FREAK NASTY PERFORM IT'S SOMETHING YOU NEED TO SEE, HE WILL BE IN YOUR TOWN OR CITY REAL SOON. DON'T MISS OUT... BOOK HIM NOW!! !